Duxbury, Sunday, August 10th, 1-3 p.m.
For more information or to make an appointment to see this property call Filomena Siner at 802-498-5407. Directions: Rte. 2 in Waterbury to intersection of Rte. 100, tavel 1.6 miles, take a left on Daltons Road, go straight .10 mile, take a right where you see the address post and drive down past the yellow house, 146 is straight ahead. This sunny, well maintained property in Duxbury is a must see! 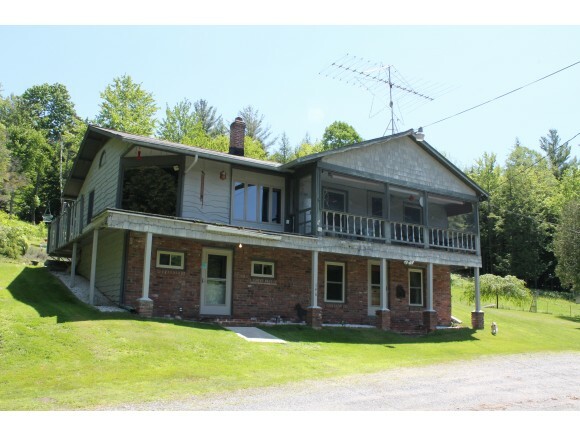 This two bedroom, one and half bath hillside ranch with walk out finished basement on 4.7 sub-dividable acres and three car garage is situated on a secluded, sunny spot just off Rte. 100 and close to Rte. 2 in Waterbury for an easy commute. It has an open kitchen/dining/living room. Interior features include granite countertops, imported Italian stone backsplash and custom maple cabinets, stainless steel gas range, skylights, cedar closets, new thermo-pane doors and windows with custom shades. The wainscoting is made from native grey birch found right on the property and milled on site. The hand hewn beams and the staircase banister and balusters come from an old schoolhouse in Berlin. The beautiful rose garden, perennials, and landscaped bushes and trees thrive in the abundant sunlight. Outbuildings include an 888 sq. ft. garage with 543 sq. ft. attached shed, a nearby barn is 8X32 and a 10X18 camp out back.